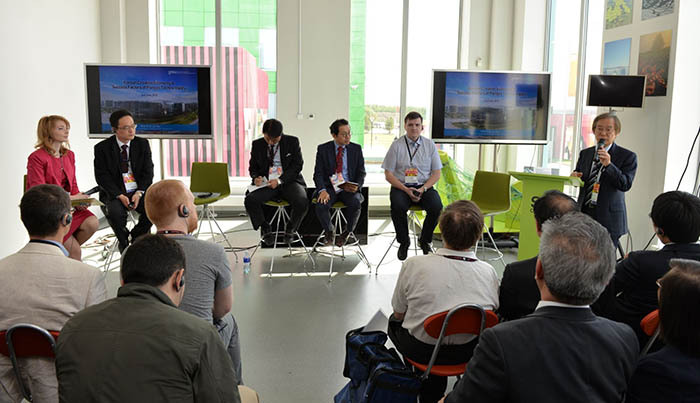 Skolkovo, Russia: June 23, 2015 – How do technical customers in South Korea learn about new engineering software available in other countries? 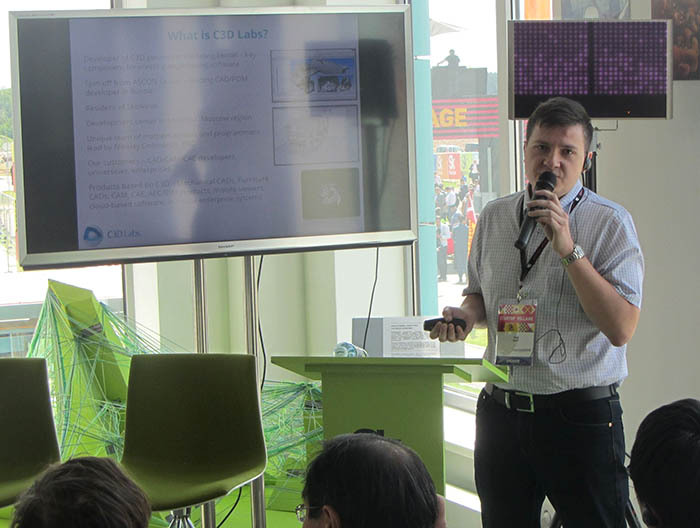 One way is through the Startup Village Conference (see https://startupvillage.ru/en), now in its third year at Moscow’s Skolkovo Innovation Center. The annual conference matches investors with innovators in an open-air festival held over two sunny days in early June. A delegation of 30 South Korean companies, R&D institutions, and technology centers arrived, interested primarily to learn about the capabilities of Russian technological start-ups. The delegation was accompanied by Park Ro-byug, the South Korean ambassador to Russia. C3D Labs was invited to attend the annual startup conference as one example of the collaboration that’s possible to achieve between firms from Russia and South Korea. The Russian software company is a resident of Skolkovo’s IT Cluster, and last year licensed its C3D geometric kernel to South Korea’s Solar Tech (see http://c3dlabs.com/en/news/items/?news=1876), a developer of CAM systems. As a result, South Korea today is a major international target for C3D Labs. South Korea possesses a strong and diversified industry, with many IT companies and universities. Solar Tech accessed the C3D kernel from C3D Labs for testing in 2013, and then last year licensed it. The Korean engineers performed a comprehensive investigation of the geometric kernel’s technical capabilities, considered the licensing options available, and only then decided to purchase it. As a result, the contract between C3D Labs and Solar Tech attracted much attention from other engineering developers and universities in South Korea. C3D Labs specializes in the technology-intensive market of CAD components. The company develops and markets the C3D geometric modeling kernel, which is used by developers of CAD systems and educational institutions. In 2013, C3D Labs became a resident of Skolkovo, Russia's state development office park (see community.sk.ru/foundation/itc). For more information, see c3dlabs.com/en/products/c3d-kernel. One of the main international start-up events of the year, Startup Village is the only conference of this scale in Russia, and is now in its third year. The main goal of the event is communication between startup founders and successful entrepreneurs, big industrialists, investors, and officials. It is the only startup conference that runs under the open skies on the site of the future city of Skolkovo outside of Moscow. Participants can see first-hand the progress Russia’s first innovation center is making. For more information, see startupvillage.ru/en. Skolkovo Foundation is the principal agency responsible for operating the Russian Skolkovo Innovation Center, a scientific and technological centre for the development and commercialization of advanced technology. The foundation has identified five key areas for potential growth: energy efficiency; strategic computer technologies; biomedicine; nuclear technology; and space technology. The Skolkovo innovation system comprises the Skolkovo Institute of Science and Technology (SkolTech, established in partnership with MIT), corporate R&D centers, business incubators, private seed and venture funds, and start-up companies – over 300 of them in all. Skolkovo is governed by a special provision giving resident companies economic incentives for running their businesses there. The city also offers residential space and a social infrastructure for its 30,000 residents and workers.